STOP SPAM, SCAMS & OTHER JUNK BEFORE THEY GET TO YOUR COMPUTER! INTRODUCING MAILWASHER: The leader in spam filter software, and the easiest way to check and manage your e-mails before you download them to your computer. 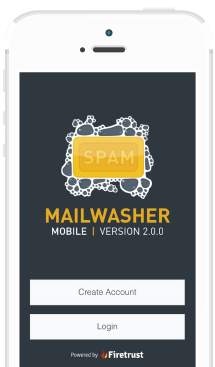 Over 8 million people use MailWasher as their spam filter! MailWasher is free to use and won’t ever expire. It works with Outlook, Outlook Express, Incredimail, Thunderbird, Windows Live Mail, GMail, Hotmail, Yahoo, EM Client and every other email program. Use this powerful spam blocker software to effectively stop email spam. Discover the safe way to stop unwanted e-mails before they get to your computer. No gimmicks here, it is so easy to set up and use that you’ll be managing your email like a pro in seconds. It can even be used as an effective privacy tool since spammers can’t tell if you’ve read your email in MailWasher. I think you will find this to be the easiest, most effective way to manage your incoming e-mails and stop spam. You will be amazed at how quickly you will like using MailWasher. Nick Bolton - MailWasher.net and Firetrust Email Security. Need the email settings for your phone or email program? Simply enter your email address and find all the settings you need to get your email up and running, and it’s mobile friendly too so you can set yourself up on the go! (at the most) and I have a clean useful email box. You guys are a life saver...actually a time saver. “ The new version is phenomenal. I don’ t know what you could do to make it more effective or easier to use. automatically configured. Please pass on my appreciate to the appropriate members of your team. Check your email with MailWasher first. You’ll be safer with the knowledge of knowing what email is waiting for you on the server, allowing you to quickly inspect and read your email and remove any unwanted messages quickly and easily. Delete e-mails before downloading them to your computer. You’ll be able to see who the email is from, the subject, the attachment and lots of other useful info. This helps you to decide if you want to delete the email or keep it. A great way to stop viruses and spam or to just delete unnecessary emails. No flashy gimmicks, so easy to use that you won’t feel like you have to learn a whole new program. In fact it has the familiar look and feel of most other email programs. It’s as easy as 1,2,3. Just check mail, mark for deletion/learning, then 'Wash' mail. Easily preview the messages in your email account to see what the sender has to say before downloading your email to your computer. This ensures you won’t download any nasty emails to your computer. Additionally, spam is marked in a red color, and your good email is marked as a green color for quick analysis. Comprehensive anti-spam tools ranging from your personal friends list and blacklist, customizable filters, external blacklists and bayesian spam filtering which quickly learns to distinguish your spam and good email. Add your friends email addresses to MailWasher and they will always be recognized. You can even hide your friends from the screen so the spam is easy to recognize. Effective filtering to automatically spot spam or profanities, plus it uses a customizable list of blacklisted e-mail senders and/or advanced custom filters to filter out potential spammer addresses and messages. This clever type of spam filtering learns which of your email is spam and which is not very quickly and accurately. If you accidentally delete an email, you can restore it back to your email account (Pro version only). Check mail at different intervals. Don’t check mail at certain times. Play a sound when an email arrives, or be notified visually. Email log. Comprehensive help documentation on this site. 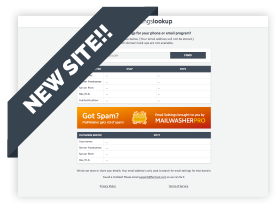 This program is so simple to use, just leave it going and process your mail when you want to. We have clocked speeds of 25 email message per second. Pretty impressive if you ask us! Free mobile version to stay spam free on the go. Download the version for your Android phone/tablet, iPhone, iPad or Windows Phone and sync your email accounts, friends lists and blacklists from MailWasher Pro to your mobile device. 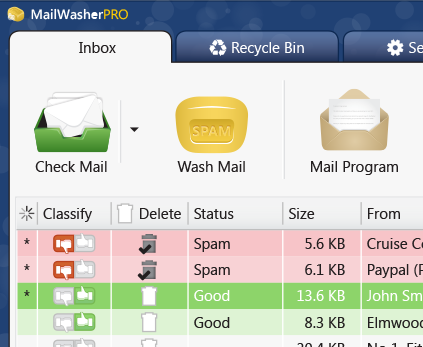 NOTE: MailWasher Free is fully featured as the Pro version for 10 days, thereafter you can upgrade to MailWasher Pro inside of MailWasher Free, or continue to use the Free version. There is no spy-ware contained in this program, we do not monitor your actions or email. When you register this program, we will not give your email address or personal details to anyone. Spam, phishing emails, email viruses, unwanted newsletters, unwanted email.